The scholarship is open to citizens of any country outside the United Kingdom. 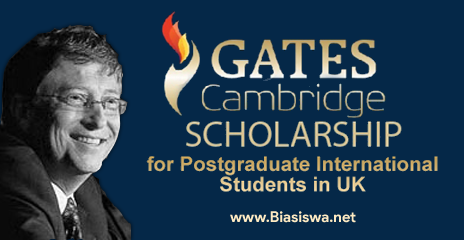 Scholarships are available for a postgraduate degree in any subject at Cambridge. Applicants are selected based on their academic excellence. Applicants with an excellent leadership potential will be considered. He/She must be committed to improving the lives of others.